A meeting between Anggada and Rawana is depicted. 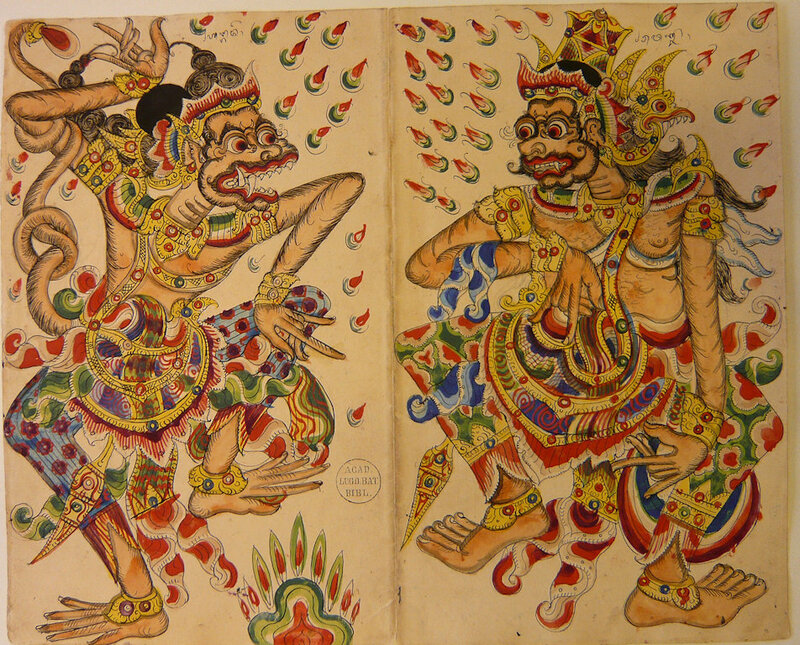 This scene may refer to an episode described in the Old Javanese Ramayana XVIII: 38-50. Anggada is sent as an envoy to Langka. He tries to convince Rawana to give Sita back to her husband, Prince Rama.